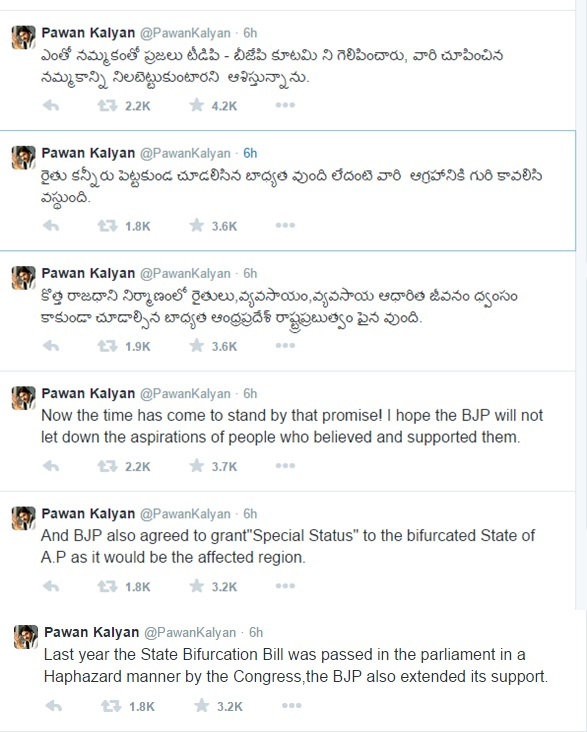 Pawan Kalyan took twitter to warn BJP and TDP governments which are ruling at central and state respectively. Pawan Kalyan urges both governments to fulfill their promises . Check out Pawan Kalyan tweets below.